A podcast on the UFW's rank and file from Pacifica Radio's "Against the Grain" with Frank Bardacke, former farm worker and author of 'Trampling Out the Vintage: Cesar Chavez and the Two Souls of the United Farm Workers'. Cesar Chavez and the United Farm Workers may seem synonymous. The charismatic leader headed up the union through strikes and boycotts that garnered nation-wide attention and made him a labor icon. 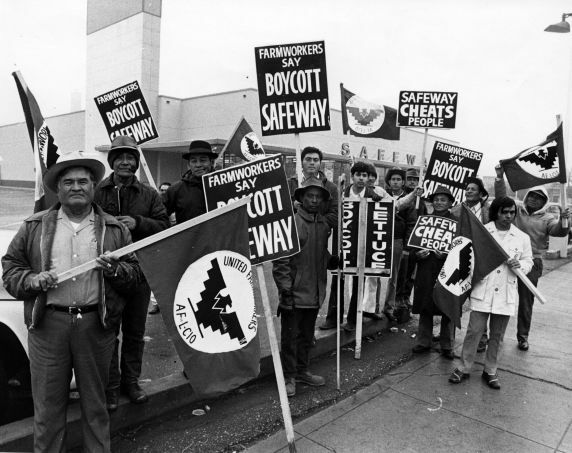 Former farm worker Frank Bardacke, however, argues that the history of the UFW needs to be understood from the bottom up. In a remarkable new book, he reveals the mainly untold story of the UFW's militant rank and file, who brought their own radical traditions to the union and clashed with union staff in ways that shaped the organization's fate.